The amount of carbon taken up by plants varies dramatically from year to year depending on the weather. Rapid growth in one year may produce a lot of litter subject to rapid decomposition, and if followed by a year of poor growth, the result may be net emissions that year, with decomposition release greater than the carbon taken up by new growth. Wildfires might lead to large net emissions that would destroy well-meaning efforts to sequester carbon, and are the most dramatic example of catastrophic release evidently beyond the control of the landowner. However, these natural phenomena that lead to variability again would seem to be no different from the normal situation landowners face. Bad weather that leads to little carbon uptake, and possibly net emissions, is no different to the situation where bad weather leads to crop failure and financial loss because there is no revenue to cover the cost of planting and other costs of farming. Similarly, the forest manager who had planted a forest in anticipation of harvesting the timber faces potentially catastrophic loss if there is a forest fire that wipes out the young forest. Limiting financial liability for these risks in the case of carbon storage would limit the incentives landowners would have to take actions to limit the effect of these events. The prudent landowner would enter into carbon sequestration with the same set of risk calculations he or she would use in cropping or timber management, taking into account an estimate of the variability over time of carbon uptake. This might include carrying a bank of credits from good years to cover bad years, the use of various financial instruments to cover the risk (saving, insurance, forward options on purchase of allowances to cover potential risks) or fire prevention and weather amelioration strategies (irrigation) that would limit the effects of these natural conditions. One element of the variability issue deserves some consideration. Public monitoring and enforcement will need to create a periodicity to inventory requirements. It is not likely that land use carbon would be 'continuously monitored' and the concept is almost nonsensical given that carbon is exchanged continuously through the day and seasons with periods of net uptake and net release. The preferred method is likely to be to estimate a stock at time t, re-estimate the stock at some later time, and the difference is the net uptake or release. So there is a decision to be made as to how often that inventory must be updated and reported. The Kyoto Protocol set a 5-year commitment period for countries, essentially allowing unlimited borrowing and banking within that 5-year period. Countries may require fossil emitters to provide inventories more frequently - e.g. annually. 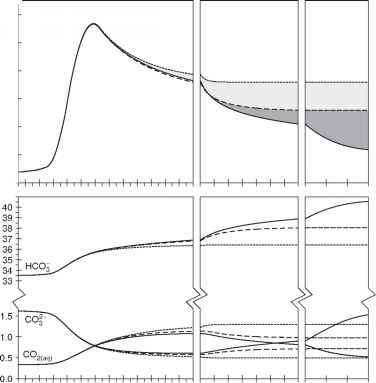 Because of the variability of land use carbon, the difficulty and cost of accurate measurement, as well as the likely approach of measuring the stock instead of the continuous flow, it likely makes sense to have a longer rather than shorter required inventory periodicity for land use carbon. This would automatically allow borrowing and banking over the established period by the landowner. For example, if an annual inventory period were required and the landowner had to be in compliance with the target each year, and if the first year was a bad weather year (or unluckily a forest fire struck), the landowner might be required to make a big purchase of allowances, only to have large net sequestration in subsequent years. This is not insurmountable; explicit banking and borrowing provisions could be created such that this variability could be evened out. However, inventory methods are likely to involve some cost, and may not be accurate enough to reliably measure year-to-year changes. This suggests that the goal may be to set the periodicity of the inventory at least every 5 years and possibly as much as every 10 or 20 years. It does not seem essential that the periodicity be the same as either a national target period such as in the Kyoto Protocol or the same as for fossil emitters. If, however, one requires that allowances can only be used once the carbon is actually sequestered, and has been certified as such, this could mean that no sequestration could be credited until the second inventory was taken, perhaps 20 years later if that was the official reporting period. This does not present any fundamental problems, but for those hoping to use sequestration in early periods this would prevent it. Not to make too much of this constraint, it would not necessarily mean that landowners could not find intermediaries who would pay them early, on an intermediate assessment of carbon sequestered, and on an expecta tion of future carbon prices. However, one way to add flexibility without necessarily requiring frequent and costly inventories would be for the reporting rules to allow landowners to inventory more frequently. If they followed established principles, sequestered carbon could be credited in the current period. For example, a landowner might choose to inventory and report after the 5th year, even though only required to do so once every 20 years.